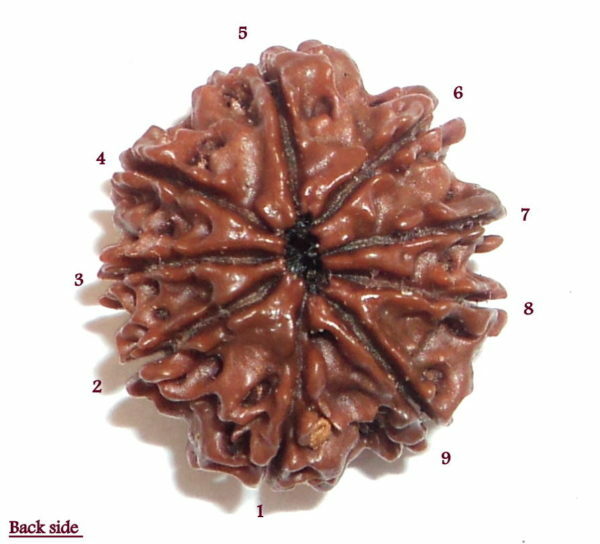 9 mukhi Rudraksha is the form of the Goddess Durga (Shakti). It contains the power of Nine Deities. The worshippers of the supreme power Shakti must wear this Rudraksha. 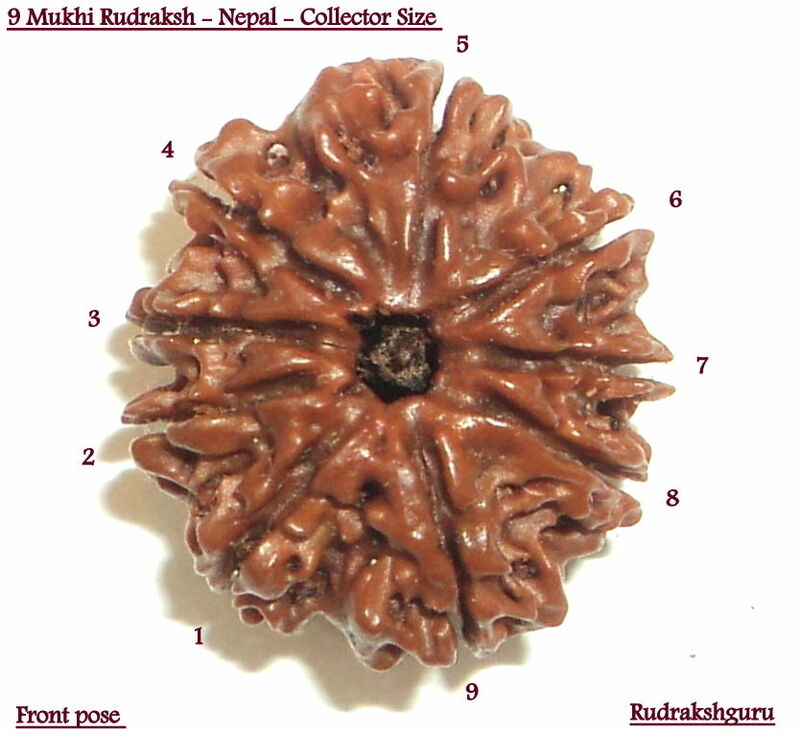 All the Rudraksha are the symbol of Lord Shiva but Nine faced Rudraksha contains special Nine qualities. It increases self-power. It makes us concentrate our mind and it also creates the belief that as by hiding the head into the lap of mother, all the fears of a child finish, similarity its wearer becomes fearless. The blessings of the Mother remain with him who always wears it. 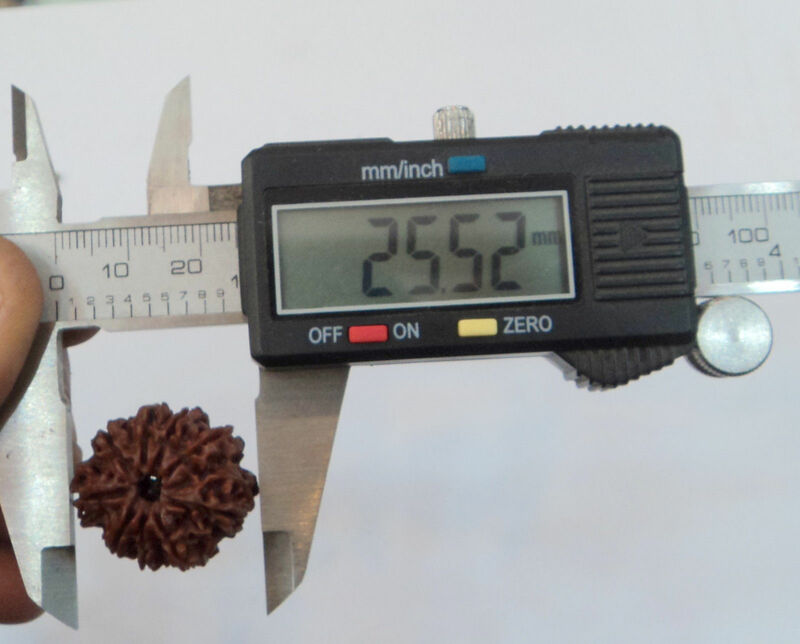 Nine faced Rudraksha gives the wearer both devotion and salvation. When invoked, the mother Goddess blesses the wearer with lot of energy, powers, Dynamism and fearlessness, which are useful to live a life of success. Gives Bhoga and Moksha. It’s ruling planet is Rahu (Dragon’s head). There are some articles in the world, that give prosperity and some others provide salvation. Both these characteristics are contradictory. The things that give worldly pleasures can not give salvations. Practising rituals to worship the Shree yantra and the wearing of the nine faced Rudraksha, give both the worldly pleasures and the salvation. 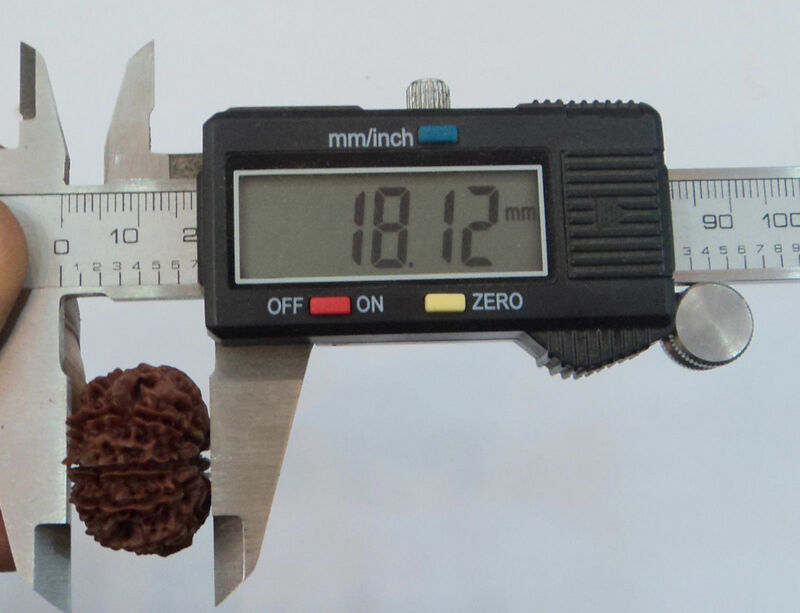 By wearing nine faced Rudraksha the man gets blessings from Shakti, the Supreme Mother. By this the wearer gets endurance, bravery, courage and his name and fame spreads all around. His devotion in god increases. His will power is strengthened. 9 mukhi rudraksha is a symbol of goddess durga , it is very helpful to wear for the ” adhyatmik satisfaction ” in life.